Howard Yegendorf and his team have helped hundreds of people for nearly three decades of practising personal injury law. His law firm was one of the first in Ottawa to focus exclusively on representing people who deserve fair and equitable financial compensation after receiving critical injuries through no fault of their own. Since its formation over a decade ago, Howard Yegendorf & Associates has helped people and families resolve disputes and settle civil lawsuits with insurance companies, large corporations, public institutions and other at-fault individuals. The law firm of Howard Yegendorf & Associates has acted on behalf of people who have been seriously injured on roads and highways and at homes and businesses across Eastern and Southern Ontario. 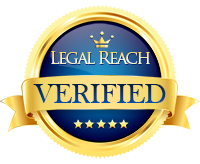 For all our clients, Howard Yegendorf uses this vast experience and know-how to act as brain injury lawyers, spinal cord injury lawyers and wrongful death lawyers. Howard Yegendorf has spent his entire career as a personal injury lawyer protecting the rights of clients who have been seriously injured.